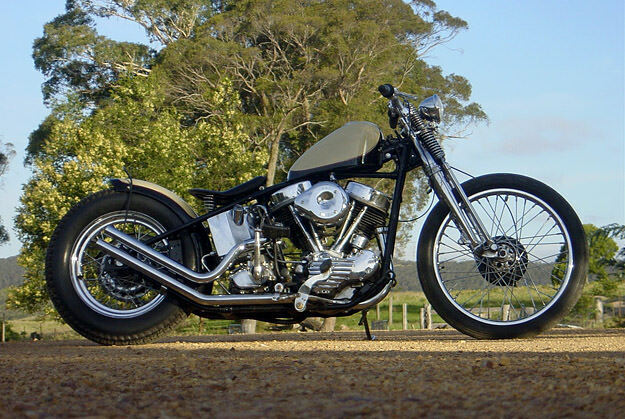 Machine is an Australian custom shop that caught our eye last month with a delicious Norton Atlas custom. And now the owner of Machine, Matt, has just put his 1948 Harley EL up for sale. It’s one of the earliest 61ci Panheads, with the new aluminum heads and hydraulic valve lifters, and the restoration is pure class. The springer front end and rigid frame are original, but the top end of the motor is new and the bike has been rewired and converted to a 12-volt generator. It’s just been featured in Dice magazine, and if you’re in the market for a vintage big twin, you can drop Matt a line via email.